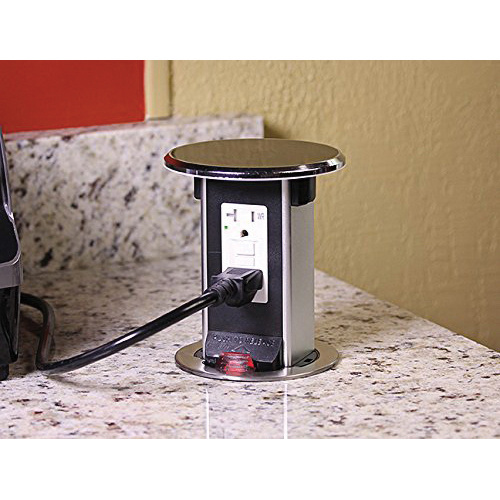 Lew Round countertop pop-up GFCI receptacle has current rating of 20-Amps. The 5-5/8-Inch tamper-resistant receptacle features stainless steel construction. It has cutout size of 3-3/4-inches and 9-ft power cord. It is perfect for use in kitchen countertops, desktops, tables and similar surfaces.